You know when you're keen on a brand, but you're not 100% sure what it feels like/smells like, so shopping online isn't an option? Or when you want to go into a shop to give something a whirl, but you hate the shop assistant getting up in your grill? Yeah, that. 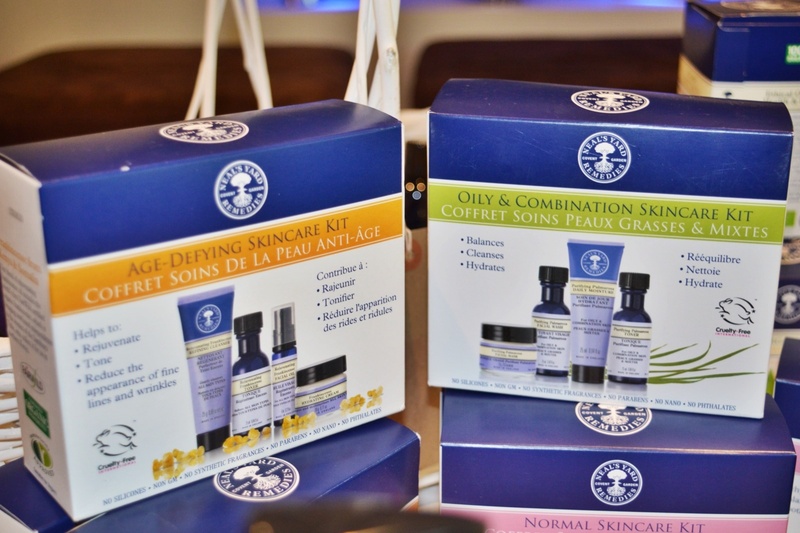 I had no idea Neal's Yard Remedies* did at-home parties. But it's a thing, for real; these pictures prove it. So when my stepmum texted me asking if I wanted to pop along on a Friday night if I didn't have any plans (HA, a broke intern have plans? Psssh), the curious beauty gal in me couldn't resist. After a week at work, a Neal's Yard party was a happy balance between socialising and indulging, all whilst being in the comfort of someone else's home complete with wine and nibbles. And of course, it's the perfect way to try out a new brand and experience products that you wouldn't normally use, with a consultant on hand to recommend and suggest the best products for you.. 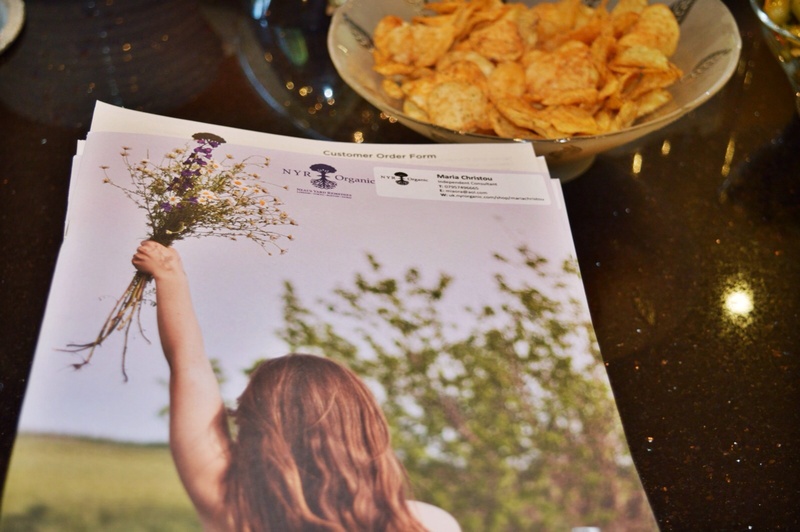 When I first arrived (first, bang on 7:30pm, super keen) there was an amazing selection of products on the table, and I was given a brochure with all the products on offer. 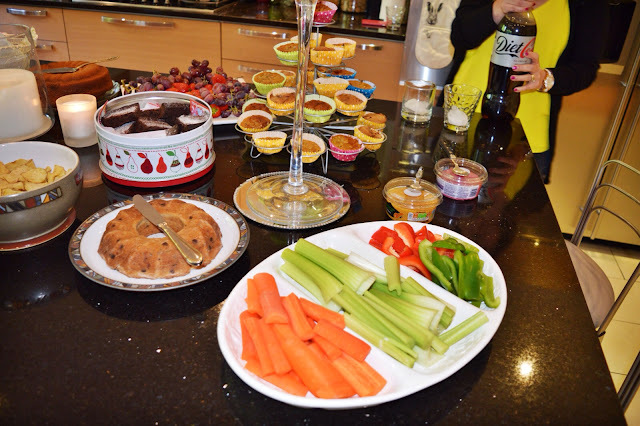 Once there was a full house, Maria, our consultant, told us a bit about the brand. 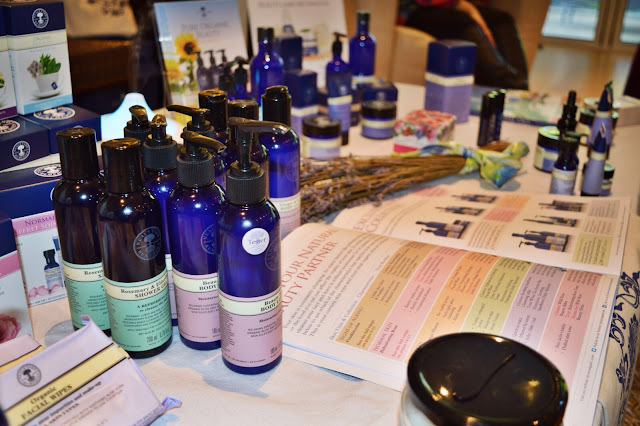 Neal's Yard Remedies is built around the idea that essential oils are extremely beneficial to our physical and mental well-being, which is why they've been incorporated into all of the products. Essential oils can affect our mood - they can calm us, invigorate us, send us to sleep and remind us of particular occasions or experiences. 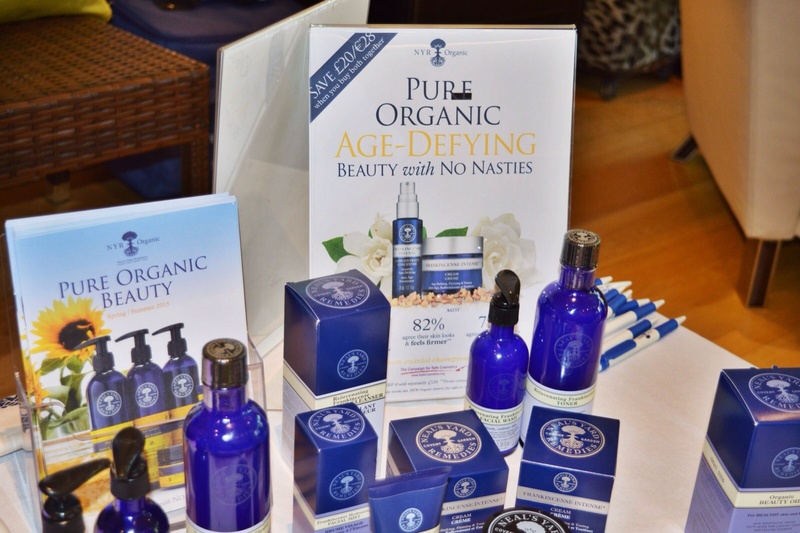 Neal's Yard also believe that natural is the way forward, so there are no artificial nasties in their products. Oh, and they're cruelty free, which means no bunnies have been harmed. We then took part in a quiz to test our sense of smell. Maria put a different essential oil on 3 cotton wool buds, and we had to guess which oil was which. I got 2 out of 3 right (for some reason I thought Lavender smelled like Tea Tree...) and felt inappropriately smug about it. It was like being at school, minus the gold stars. 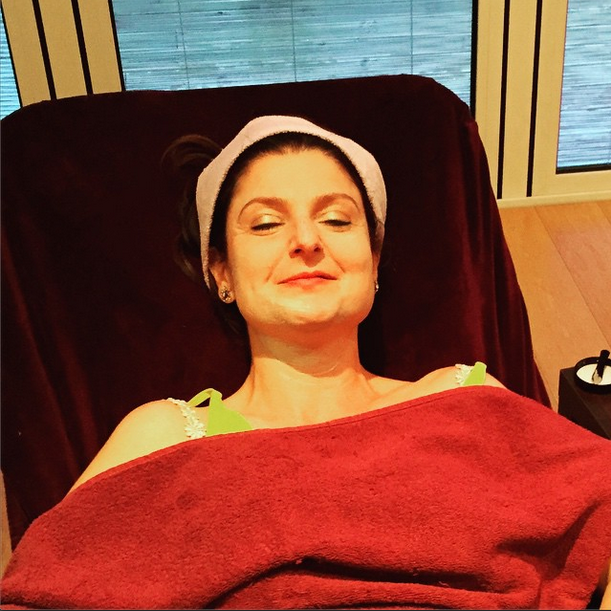 After the facial, people really got stuck into testing the products and seeking Maria's advice for skin concerns. 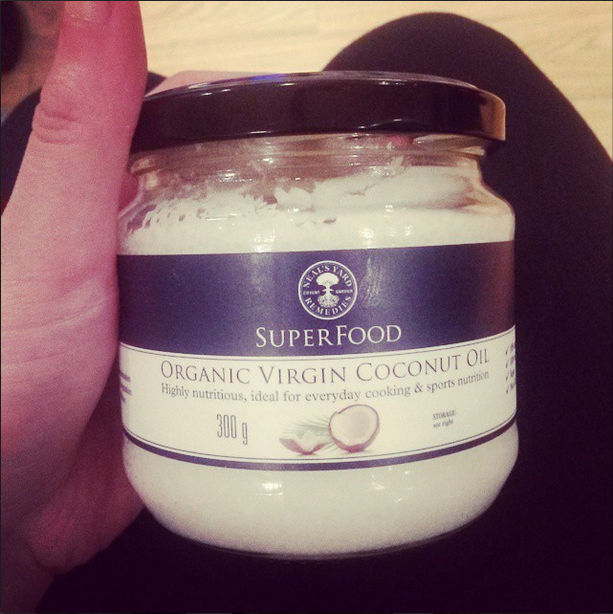 Always one to be a little awkward, I instead fell in love with the Neal's Yard Remedies Organic Virgin Coconut Oil. Ever since I worked at blow LTD and discovered the benefits of coconut oil, it's always been on my list of things to buy, but I've somehow never got round to it. If you're not on the coconut oil hype, you totally should be. It can be used for cooking as well as on the skin and hair. It removes make up, moisturises the face and body, can be used as a hair mask, mixed with sugar/salt to make a scrub, as a massage oil (ooer)... the possibilities are endless. And it's SO good for you, because it's full of antioxidants which combat ageing because they protect the skin from oxidising (and when your skin oxidises, it's damaged and exposed to pollution and UV rays, etc). So YEAH. Get some. But it has to be organic and virgin, otherwise it won't be as good. My stepmum ordered it for me so I'm really excited for it to arrive and change my life for the better. After the palava of order forms post-prosecco, people milled around, catching up and exchanging what they'd ordered, and for whom. 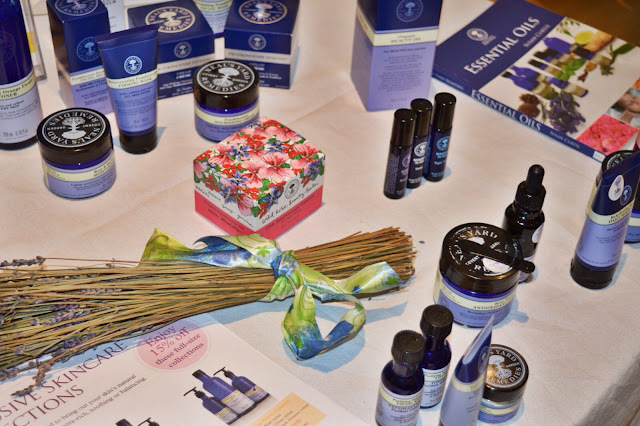 And my stepmum was given a gift in exchange for hosting the party, and told that depending on how much her guests spent, she would get a certain amount to spend on NYR products, absolutely free. 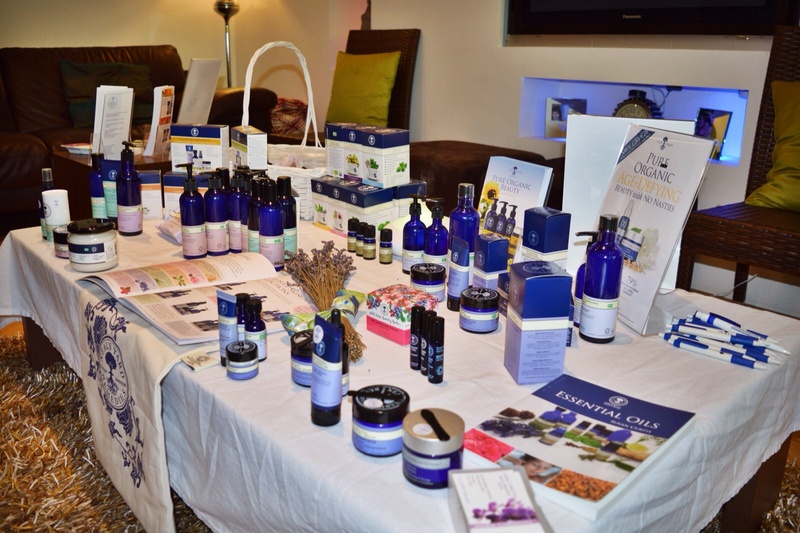 Neal's Yard Remedies parties, and basically any brand at-home parties, are a great excuse to get everyone together in the name of pampering and relaxing. I'm sure as my friends start to settle down, move into their own flats (eep!) and all that, this type of thing will happen more and more. Does it make me sound old and lame to say that I'm looking forward to this? If this post has whet your appetite for the brand, check out Neal's Yard Remedies here. They also have stores around the U.K. Find your nearest store here. *I haven't actually been sponsored to write this post - I just wanted to share!